We utilize our extensive knowledge and more than 50 years of combined transmission rebuilding experience to provide you with the service to get you back on the road quickly with your wallet still intact. We provide you the knowledge beforehand so you will make the right decision about your transmission. Unlike some mechanics out there here at Cleveland Auto Repair Plus we aren’t into you spending more than you have to spend to get your vehicle back on the pavement. We will never attempt to sell you on a repair that doesn’t to be made to your transmission. We promise to be upfront and of course treat you with the upmost respect as you are considered part of the family rather than just another customer. Just like you we are your neighbors here in Cleveland and are determined to do right by you to earn your trust and not just your business. 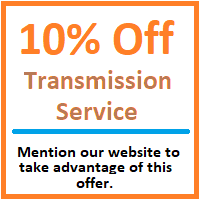 ​We are Cleveland’s top transmission repair specialists. Cleveland Auto Repair Plus Enterprises specializes in rebuilding transmissions to save you money since you not only won’t have to replace your old transmission with a brand-new unit which in some cases make it very expensive and more feasible to instead buy a new vehicle instead. We will never sell you on replacing your transmission just to earn a buck. We will always be upfront and make sure you are treated with the respect and honesty you deserve. ​The Differential is a critical part of your vehicle. Basically it differentiates the speeds of the tires as they rotate on either side of the vehicle. as it allows the outside wheel to rotate faster than your inside wheel while making a turn. ​Here at Cleveland Auto Repair Plus we are experts in repairing transfer cases on your ride. Without boring you with too many details, a transfer case is vital to all wheel drive vehicles as it does exactly what its’ name describes, transfers power from the transmission to both the front and rear axles and helps keep all of the tires rotating in-sync like the late 90’s boy band. Our specialists will inspect your transfer case and make the necessary repairs if needed. Call us today to get your ride back on the road today and don’t let your ability to drive go “Bye, Bye, Bye” as NSYNC once said. ​Anyone who lives up here in the north knows how rough the streets can get. It’s almost law that a newly paved street can’t last more than a few years before it really starts to deteriorate. Living in Cleveland is no exception to that rule. These beaten-up roads can accelerate the wear and tear effect on your vehicle in many categories but especially where the car meets the road—the wheels. Cleveland Auto Repair Plus Auto Repair has the right guys for the job for your wheel alignments, tire rotations, and tire replacements. Stop in or give us a call today to help fix your alignment or tire issue today. Wheel and tire alignments are exactly as you’d suspect. They are a procedure done to a vehicle to straighten out the pull of the car or truck and even out tire tread wear. When doing a wheel alignment the process does not refer to so much aligning the wheels themselves as it does angling the wheels so that one part of the tire isn’t baring more weight or touching the pavement more than another part of the tire. This helps keep the tread even wearing and your vehicle straight instead of wanting to pull to pull either right or left. Cleveland Auto Repair Plus are your Cleveland wheel and tire alignment professionals. Is the brake pedal almost to the floor before you start to slow down? Are you worried while driving you might take out the backend of the vehicle ahead of you backend you stay twice as far back as needed? Are you experiencing grinding, squealing and horrible Come in today for all your brake repair needs. We are Cleveland’s top braking specialists that will fix your car up right the first time and get you stopping on a dime. ​Does your vehicle shake, squeal or howl when making turns or simply just accelerating and picking up speed as you drive? This could be a sign of a bad wheel bearing on one or more of your wheels and depending on the severity of the shaking and noises associated with this bad wheel bearing might need to be addressed sooner rather than later. Wheel bearings can differ depending on the device or piece of machinery they are being used for. In the case of your car however wheel bearings simply put are a set of metal balls enclosed in a metal ring which reduces friction all while helping your wheels rotate while driving at whatever speed you desire. · Grinding, buzzing or howling sound during acceleration as the tires rotate faster. · The same noises can also be noticed as you are making turns. If you notice that the noise is more abrupt when turning a certain direction, a bad wheel bearing might exist on that side of the vehicle. · Another possible symptom of a bad of failing wheel bearing is a shaking car or steering wheel. If you experience any of these possible issues in your car, truck or SUV bring it into Cleveland Auto Repair Plus Auto Repair and let our specialists diagnose your issue and repair your wheel bearings to get you back on the road safe and without sound. Call to schedule your appointment today! ​The clutch is a vital part of your vehicle as it is the part of the vehicle that regulates the power that gets distributed from the power generated in the engine to the rest of the vehicle that uses this power like the wheels. The clutch is vital because it controls the output of power to transmission, drive shaft and allows you to keep the car running even when you are not in motion. Bring your vehicle into Cleveland Auto Repair Plus Auto Shop when it’s time to replace your old car battery. We will first check your battery to make sure there is reason to replace it. Secondly, we will check to make sure that your connection is sufficient and not the issue and if it is we will fix that instead or charging you for a battery you may not need to replace. Cleveland Auto Repair Plus Auto Repair is your trusted choice in the Cleveland area for battery maintenance and servicing. Call us to today to set up your appointment. There are different belts and hoses on your vehicle. Each has their own purpose. Cleveland Auto Repair Plus Auto Repair here in Cleveland, Ohio can help you fix these issues and get your car, truck or SUV back on the road in top shape. ​If you notice your engine is overheating or your lights starting to dim out or even that your A/C isn’t working this could be a result of a slipped or broken Serpentine Belt. Although a small and inexpensive part of your vehicle the Serpentine Belt is an important piece to your car which helps provide power generated by the engine to many parts of your vehicle including the air-conditioning compressor (A/C) which cools your car down in the summer. You will also notice it may be a lot more difficult to steer your vehicle and make turns if your Serpentine Belt is broken or not properly installed in your vehicle. This is because the power to your power steering system in your vehicle comes from the Serpentine Belt. Your alternator also charges as the car is running because of the Serpentine Belt. Your headlights, car interior lights, radio and other electricity using amenities in your car will be essentially useless because power will be lost to keep these things working properly once the battery is completely drained. A broken Timing Belt can be detrimental to your vehicle engines health. The timing belt is a rubber belt that is not smooth, but rather, notched. This belt may also be referred to as a Gilmer or camshaft drive belt. Have Cleveland Auto Repair Plus Auto Repair address your vehicle belt and hose issues. We can replace Timing Belts and Serpentine Belts, as well as fix and replace your damaged and busted hoses to get your back out on the road in a snap. Call Cleveland Auto Repair Plus for your auto repair needs today. They took care of me as if I was their own family member. The detail at which they described what was going on with my car was not only very in-depth, but easy to understand for someone who is not what you would call...car savvy. They've won me service for life!" ​"Really was beyond impressed at how they were able to squeeze me in before I took a summer road trip. They were quick and efficient and got my issue figured out in what felt like no time at all. Thanks again!" 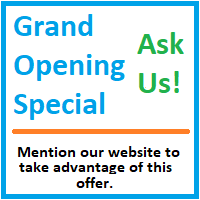 ​"After getting hosed at a national auto repair chain and still not getting my issue fixed I turned to these guys and they were able to figure out the issue in less time and for a lot less money. I guess you don't always get what you pay for! There are still honest and fair guys out there willing to earn your business. These guys are a perfect example.